While Kansas City and others gloat about their gigabit internet from Google Fiber, a small internet service provider in Minnesota is about to offer stupid fast 10-gigabit connections to consumers. US Internet just announced that the new service will be available to 30,000 households in Minneapolis next summer. It'll be expensive, too, at $400 a month. But wait, let's back up to that 10-gigabit detail. That's about ten times faster than Google Fiber, and gigabit ethernet is already a benchmark so impossibly fast it's hard to imagine how any average consumer would use that much bandwidth. That said, Google is actively working on achieving 10-gigabit speeds too. This little local ISP from Minnetonka just beat them to it. 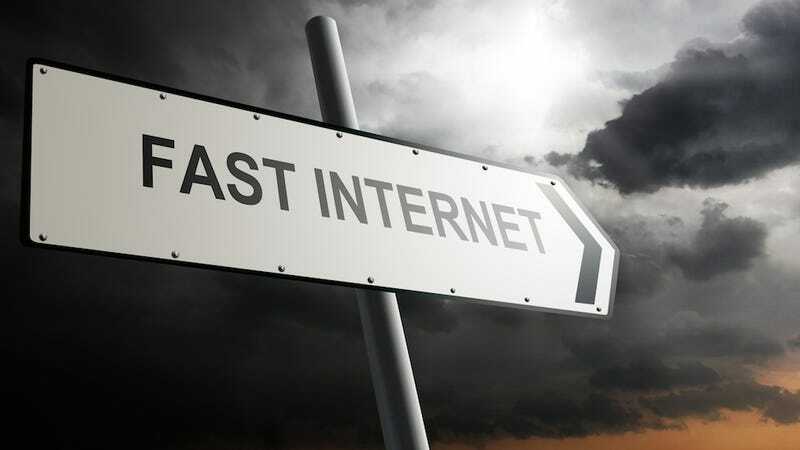 The ISP is advertising its new service as the "first 10 GB internet in the world," and while that's not necessarily true, the company's offering 10-gigabit connections for households is certainly a first in the United States. This all begs the question: Does anybody really need 10-gigabit internet? Those kinds of speeds are usually only used to link servers in data centers, and most home computer hardware would max out at lower speeds. In effect, nothing an average American would do on the web would ever require speeds that fast. A 10-gigabit connect would open up all kinds of new possibilities in terms of uploading video and even setting up servers in homes, though.